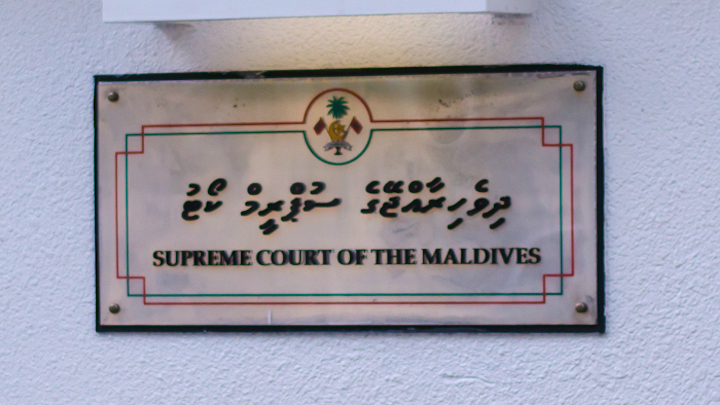 “As false and misleading statements are being made by various parties, without attempting to reach the truth of the matter, and in a way that causes loss of the confidence the public has in the Maldivian judiciary, we remind at this opportunity that legal action will be taken against such people,” the Supreme Court said. The Department of Judicial Administration (DJA) – which operates under the Supreme Court – in a statement yesterday reminded lawyers that regulations enacted in June 2012 authorises the apex court to take disciplinary action over contempt of court and ethical misconduct. 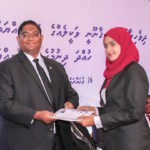 “Therefore, as false and misleading statements are being made by various parties, without attempting to reach the truth of the matter, and in a way that causes loss of the confidence the public has in the Maldivian judiciary, we remind at this opportunity that legal action will be taken against such people,” the statement read. 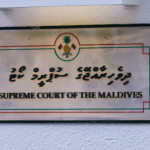 The Supreme Court enforced the controversial regulations through a circular in June 2012 and required all lawyers to register with the court. In a further ruling issued on Wednesday, the Supreme Court took over regulating the legal profession from the Attorney General’s (AG) office. The apex court struck down regulations enacted by the AG office on licensing lawyers. 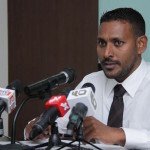 On the eve of former Vice President Ahmed Adeeb’s impeachment on Thursday, the Supreme Court barred his lawyer, Hussain Shameem, from appearing in any Maldivian court over multiple alleged breaches of the regulations. 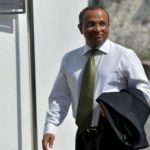 The main opposition Maldivian Democratic Party (MDP) meanwhile released a statement expressing concern with the decision, reached “in absentia” as Shameem was not allowed to speak in his defence. Lawyers have a constitutional right to express opinions about court rulings, the MDP said. The decision will draw further criticism from the international community, it added. During an examination of the Maldives’ human rights record at the UN in May, the judiciary came under fire over “politicisation,” inadequate qualification of judges, and lack of conformity to international fair trial standards. 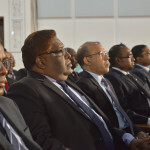 The government has since accepted numerous recommendations put forth at the UN Human Rights Council on reforming the judiciary to ensure impartiality and independence. The former UN Special Rapporteur on Independence of Judges and Lawyers, Gabriela Knaul, in a 2013 report, said she was concerned over the absence of an independent self-regulating bar association to oversee the process of admitting candidates to the legal profession. “It is contrary to the Basic Principles on the role of lawyers that licences to practice law, as well as disciplinary measures, lay in the hands of the executive, as in the case of the Maldives, where the Attorney General is the authority who regulates the legal profession. The enforcement of compulsory registration of lawyers with the courts is also unacceptable. The regulation of disciplinary measures against lawyers falls outside of the prerogative of the judiciary or any other branch of power and contradicts the principle of independence of the legal profession,” she said. When the Supreme Court takes action against lawyers, it leaves no avenue for appeal and review and is a violation of the rights of the lawyer, she added.